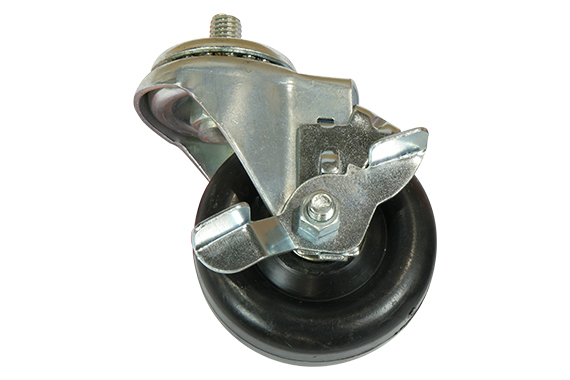 We’ve all seen car casters, or tire skates, sold by many retail stores or mail order catalog companies. 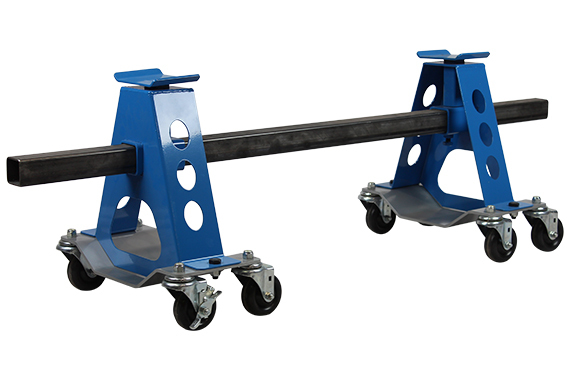 Invariably, we hear how customers have bought those and they cannot move their car after they put the weight of the car on those casters. That’s unfortunate, why shouldn’t you get a good set from the beginning. 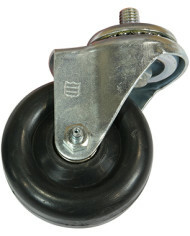 Our car casters are unique and out-perform competitor’s units. We use a precision CNC laser and forming equipment in our shop. They are 1/4” thick steel plate. Notice there is no need for a bar, or gusset, on the sides to keep it from flexing. If your tire hangs off a little, it will not dig into that bar because it simply is not there. You can get the plates in 8” wide and 12” wide. 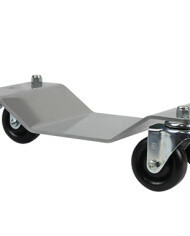 They are formed to fit the profile of the tire and not let the tire roll off when moving. We sell them in sets of four (4). 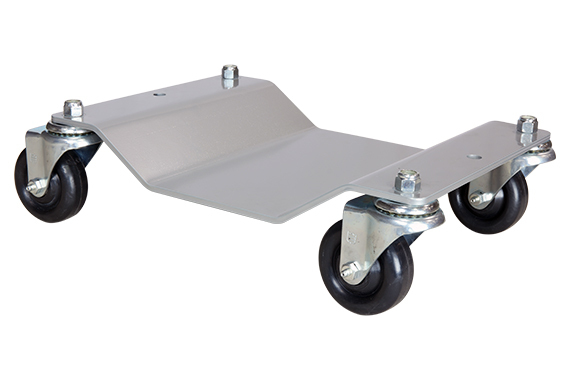 Each caster is rated at 1,500 lbs. for a total, equally weighted 6,000 lb. 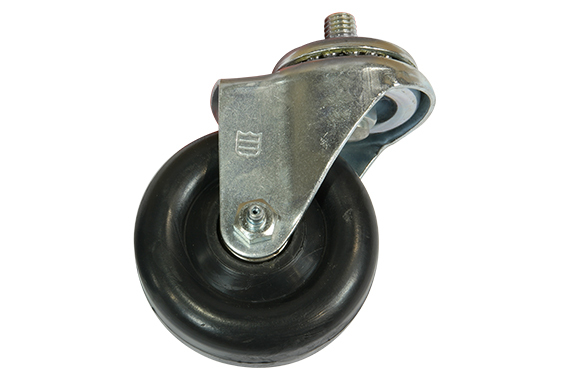 load We have a 3.5” diameter roller bearing caster. 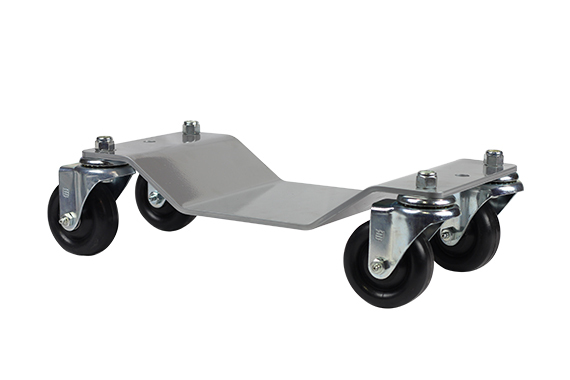 The casters are polyolefin material. Hard enough to not dead spot over the winter. Non-marking also. 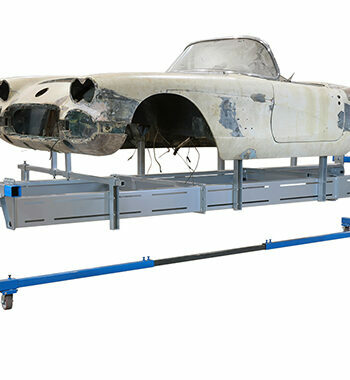 We also make stands that bolt onto our casters, giving you the ability to take the suspension off the car or use them for your restoration project and then take them off and use the casters alone on your finished car. 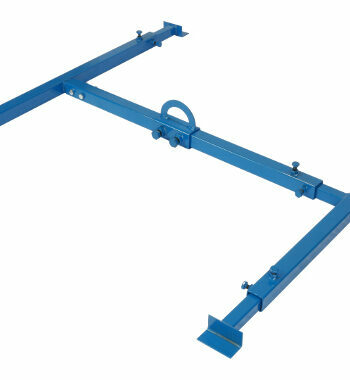 The stands have a removable top plate that rotates in 45 degree increments and comes with a 6 foot connecting bar to keep them extremely stable and safe. 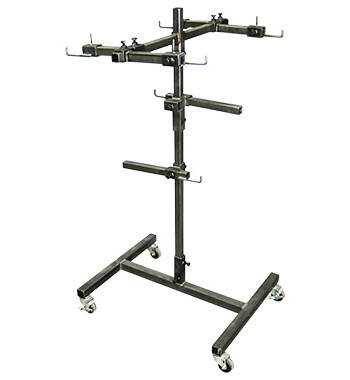 The stands come standard with blue powder coat finish. 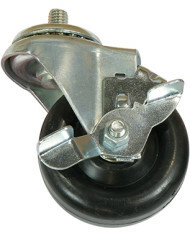 Sold as a set of 2, car casters are not included. 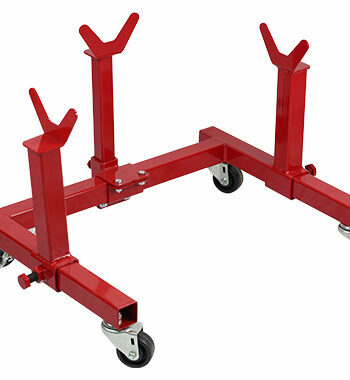 The car casters stands are compatible with 8″ and 12″ plates.